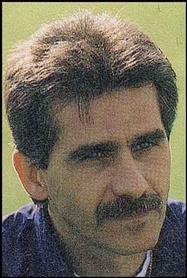 Continuing on a Carlos Queiroz theme, I dug up this picture of him back in the day (the Eighties, I guess?) when he was rocking a magnificent moustache. I was thinking he reminded me of someone but I couldn’t put my finger on who. Then it came to me – Geraldo Rivera (just Geraldo to his friends), American talk-show legend and fellow moustache wearer.